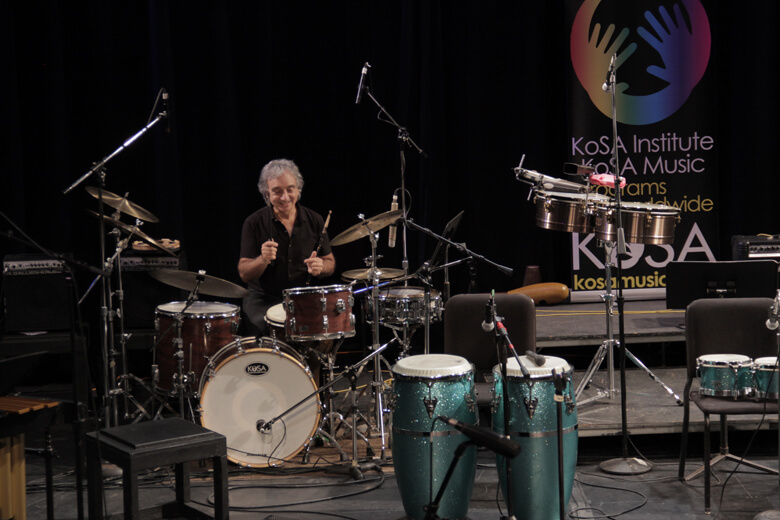 New York, NY, USA – The atmosphere was electric, intense, and inspiring at the 2013 PAS KoSA NYU “Weekend of Percussion” February 16 – 17 th . 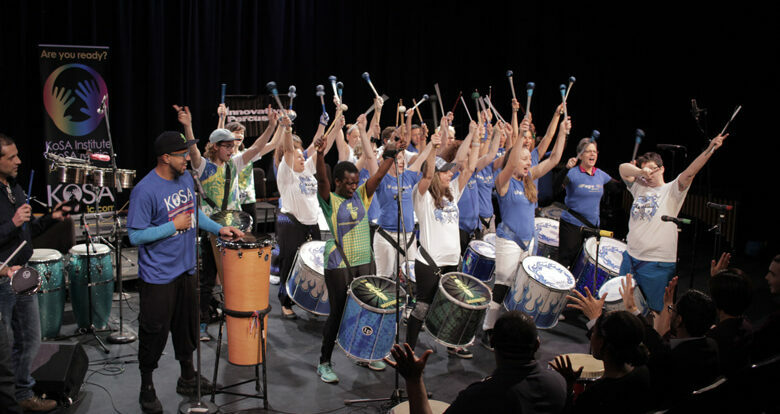 With 20 hours of FREE clinics, concerts, and competitions, the 5th full-weekend Percussive Arts Society event in New York City was a smashing success. 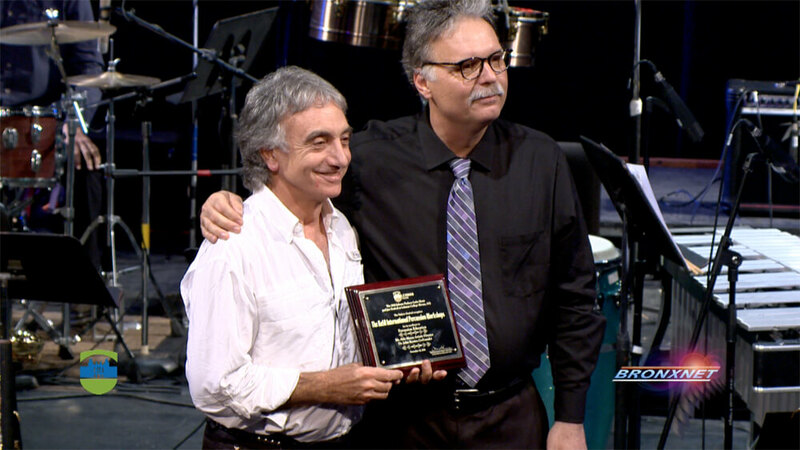 Hosted by Andrew Beall (President, PAS NY Chapter), Jonathan Haas (Director, NYU Percussion Studies Program), and Aldo Mazza (Director, KoSA), the 2013 PAS KoSA NYU “Weekend of Percussion” again brought a unique collaboration from two of the largest percussion organizations in the world (PAS and KoSA). 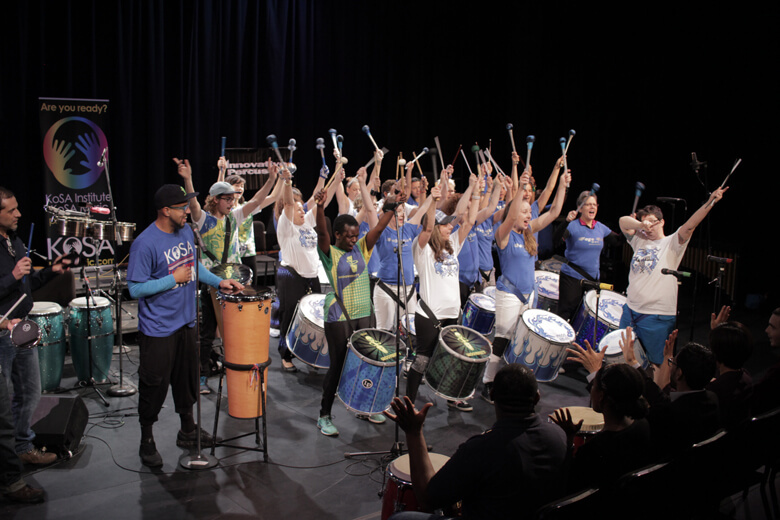 In the words of the former PAS Executive Director Michael Kenyon, “This is one of the few times we have seen such a strong partnership for a PAS chapter event.’ Attendees traveled great distances (Canada and Florida to name a few) to witness this epic celebration of percussion. 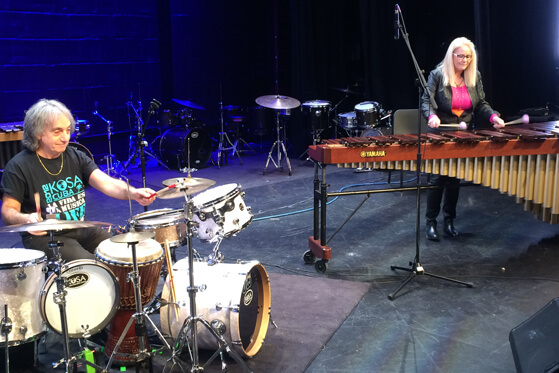 Our 2nd Solo Marimba Competition (judged by She-e Wu, Eriko Daimo, Greg Giannascoli, and Simon Boyar) garnered students, ages 13 – 32, from up and down the east coast, all who played at an impressively high level. Special congrats to the 2013 winners: Div I – Jianpeng Feng (Hartt School of Music) and Div II – Shiqi Zhong (Juilliard Pre-College). Clinics began early Saturday, February 16th with Dominick Cuccia, teaching us the world of Fife and Drum corps, accompanied by Therese Cuccia. 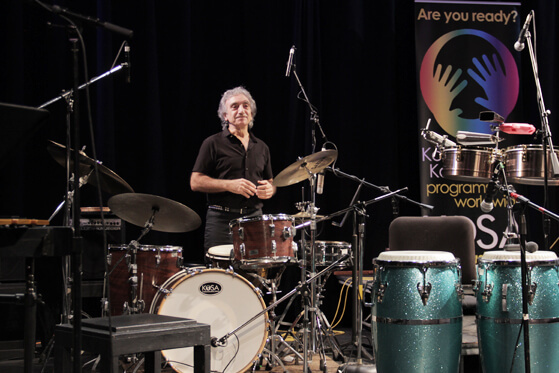 Pablo Rieppi followed with an orchestral snare drum masterclass, listening and critiquing students from Juilliard, Manhattan School of Music, and New York University. 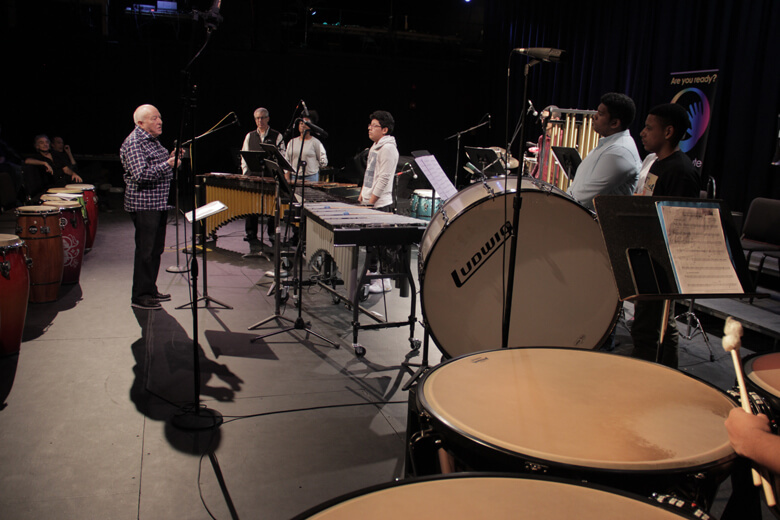 The morning concluded with one of our favorite new traditions: the Youth Percussion Showcase, which featured Juilliard Pre-College (Jonathan Haas, Director), New York Youth Musicians (Diana Melgarejo, Director, Mariana Ramirez, Mexican Marimba Ensemble Coach) and from Orlando, FL, Freedom High School Percussion Ensemble (Franklin Jennings, Director). 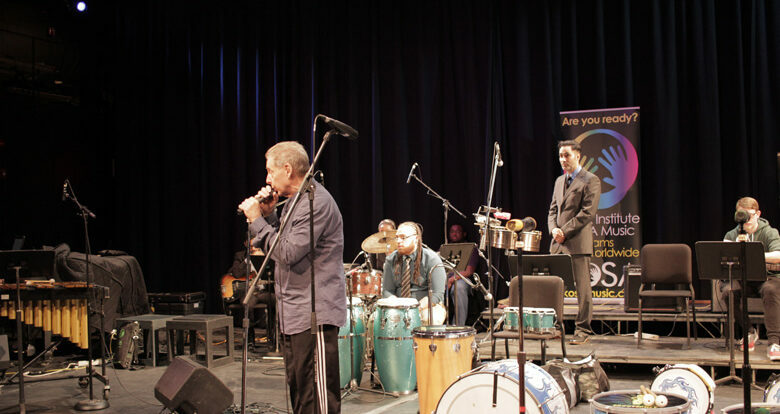 The afternoon started with a bang with ‘The Junkman’ Don Knaack, discussing and performing his music composed for 100% re-purposed materials, as well as his very interesting career. Moderated by Aldo Mazza, a panel discussion followed on Music Business and Entrepreneurship, featuring Kevin Curry (President, Carroll’s Music), Michael Sgouros (Owner, Players Theater), and Drew Tucker (Artistic Director, Arts Garage Performing Arts Academy). The fun did not stop, as Eriko Daimo headed up a Marimba Masterclass, gracing us with several works, discussing her ideas of ‘Sounds through silence’, and coaching 2 students from New York University and Queens College. 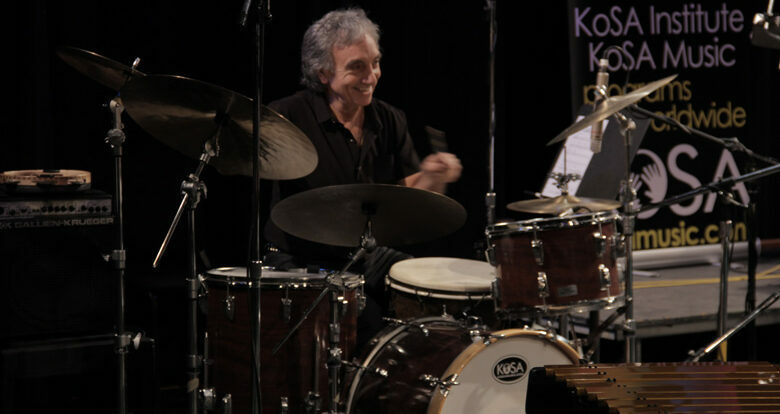 The final clinic of the day had us laughing, crying, mesmerized, inspired, and generally questioning why we’d ever pick up a pair of drumsticks again 🙂 Teddy Campbell (Tonight Show drummer) had our complete attention, as he took us through his early start, playing in church Gospel choirs, to his move to LA, to his first audition with music director Rickey Minor (where Teddy couldn’t read music), to touring with Britney Spears, 6 years drumming for American Idol, and finally his home, drumming for Jay Leno. 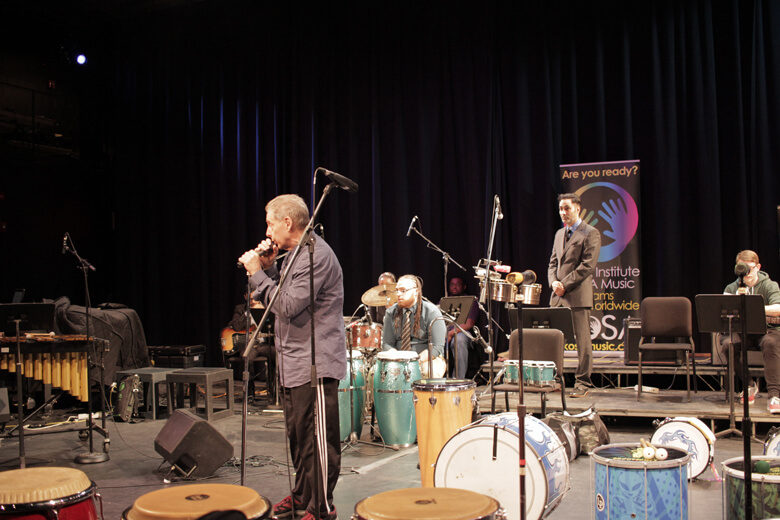 The day concluded with a Showcase Concert, featuring Frederic Macarez and the NYU Percussion Ensemble, Howard Van Hyning Tribute Drummers (honoring the late Howard Van Hyning), The Great American Fife &amp; Drum Band (Dominick &amp; Therese Cuccia), Jim Royle Drum Studio Percussion Ensemble CT, Eriko Daimo, Nacho Arimany, ‘The Junkman’ Don Knaack, Aldo Mazza, Greg Landes, Andrew Beall, Rey Soriano, Doug Feig, the cast of Song of Solomon, and Marimba Competition Winners winners of the Solo Marimba Competition (Jianpeng Fen and Shiqi Zhong). Sunday was an exciting day of firsts. 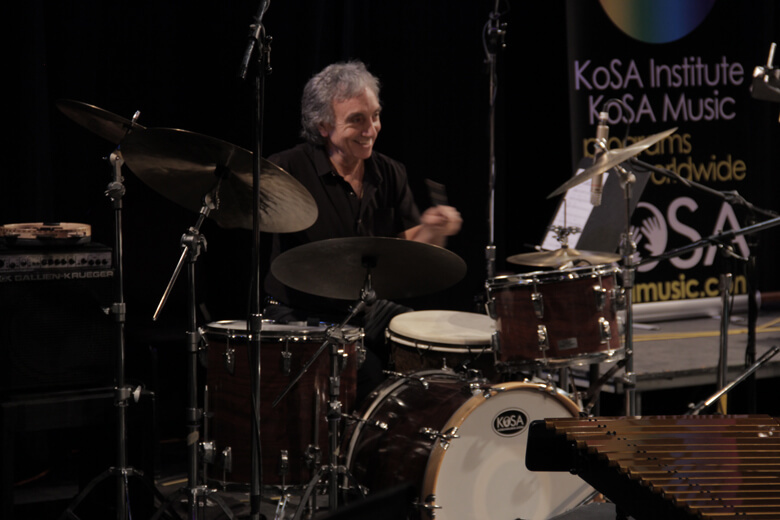 We kicked off with Peter Saleh, who gave us a novel clinic on performing as a percussionist for Dance Classes in NYC. 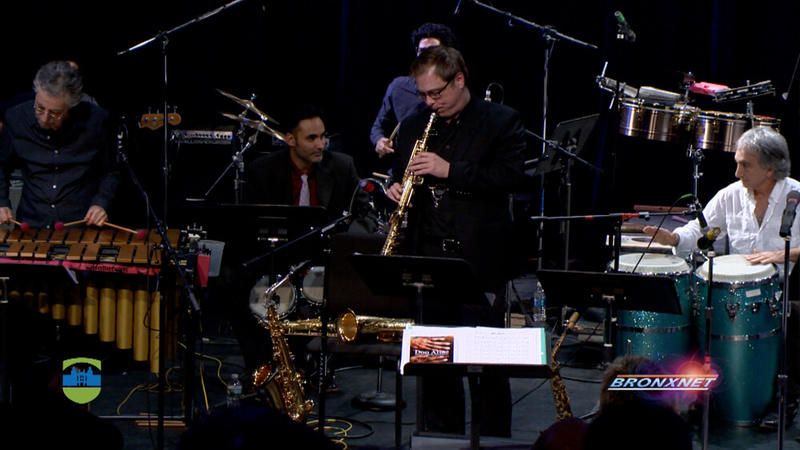 Accompanying him were Grant Braddock and Mike Ramsey as well as 5 seasoned dancers. Next, we experienced the other-worldly dimension of Nacho Arimany who graced us with his unique Flamenco Clinic, including enticing performances by Pedro Cortés (Guitar) Sonia Olla (Dance), and Ismael de la Rosa (Voice). Following Nacho was the fun, charismatic, and talented Madeleine Yayodele Nelson, who gave us our first-ever hands-on ‘Shekere’ workshop. 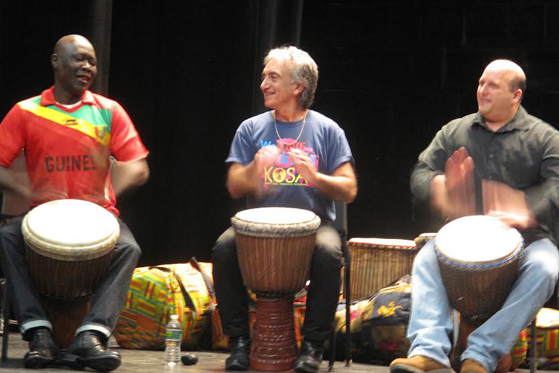 The stage was packed with 40 – 50 students, many of them holding a shekere for the first time. 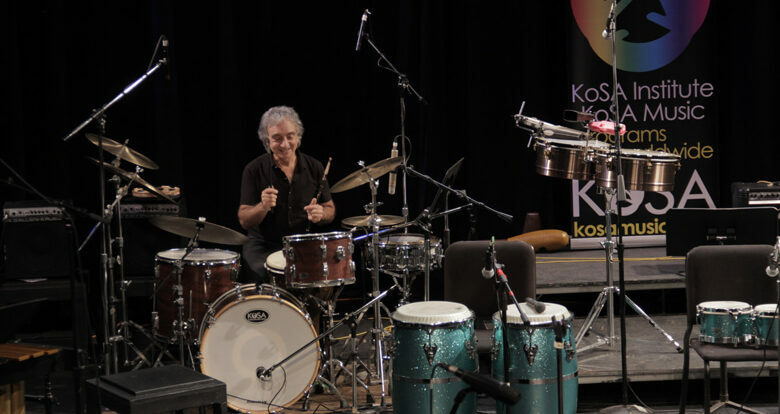 Next was a triple-threat of Aldo Mazza, Michael Markus, M’Bemba Bangoura giving us another hands-on clinic, focusing on the fusion of world percussion and drumset, with a jam that demonstrated how everything originates in Africa. 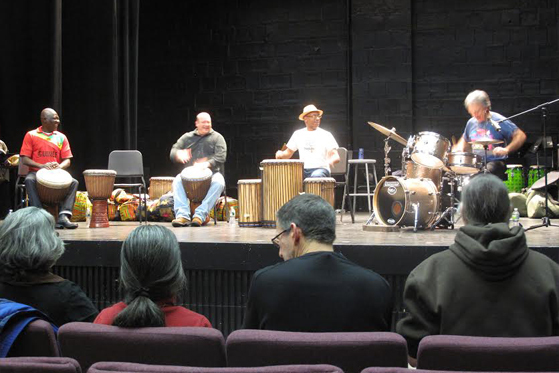 Aspects of the correlation between African, Cuban and other cultural rhythmic mixes were explored in performance practice. 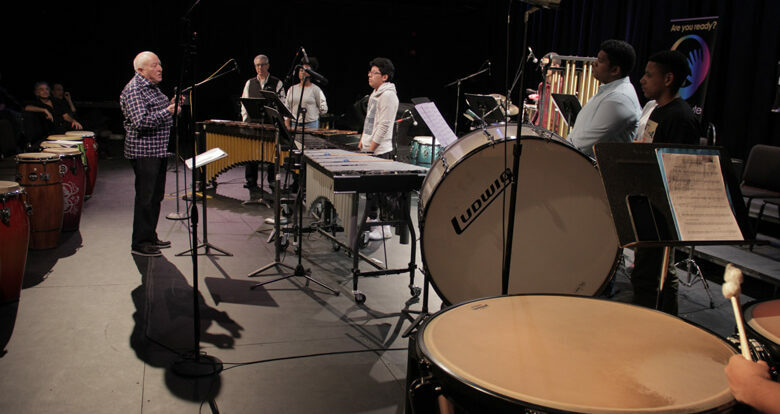 Then we had a special performance of Steve Reich’s ‘Mallet Quartet’ with the NYU Marimba Ensemble (Simon Boyar, director) with special guest Josh Quillen (So Percussion). Near the end of the day, we had another audience-participation moment from one of the hand drummers in Broadway’s The Lion King: Junior Wedderburn. 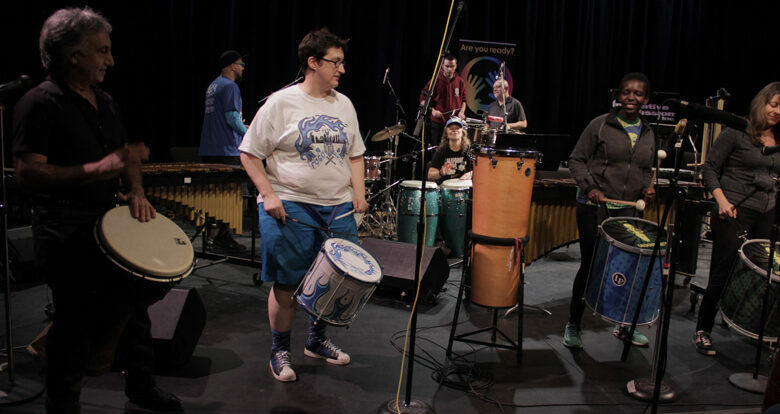 And our final clinic/performance of the weekend was given by Valerie Naranjo (percussionist, Saturday Night Live, marimbist, Broadway’s The Lion King). 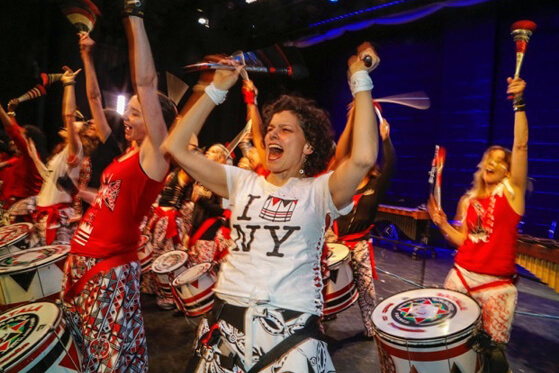 One of the most exciting moments was watching her ensemble, the NYU African Percussion Ensemble, singing, dancing, and playing as if they’d all spent a year in Ghana. Only in their 3rd semester, the group radiated with energy and joy. 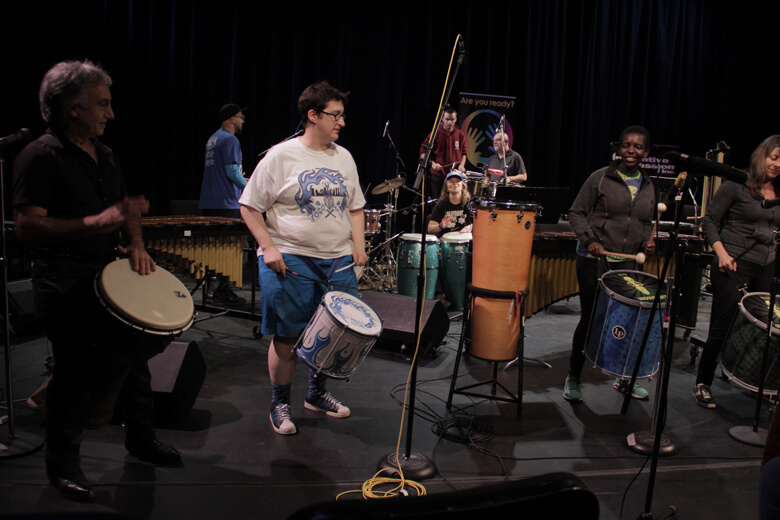 The weekend concluded with a special Finale: an open-improvisation, bringing together artists and presenters and exemplifying the spirit and collaborative efforts of the entire weekend. Special thanks to those who worked behind-the- scenes endlessly for months in preparation (Jonathan Haas, Aldo Mazza, Indi Savitala, Sean Statser), and to our 29 different sponsors who laid the foundation for magic to happen. We are already planning this event next year.